Glean ideas for designing your perfect outdoor living space. 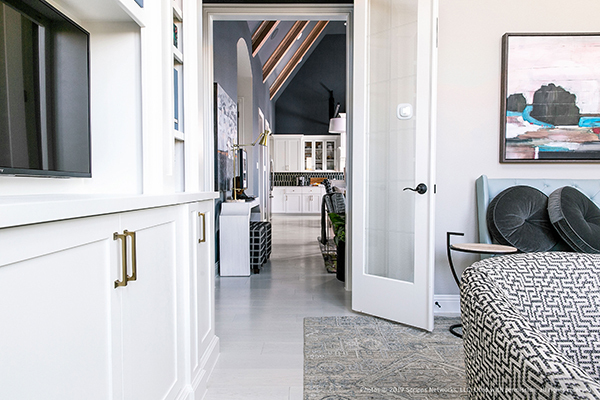 Located in Los Gatos, California, the 2018 Sunset Magazine Idea Home is a craftsman style with a contemporary spin. 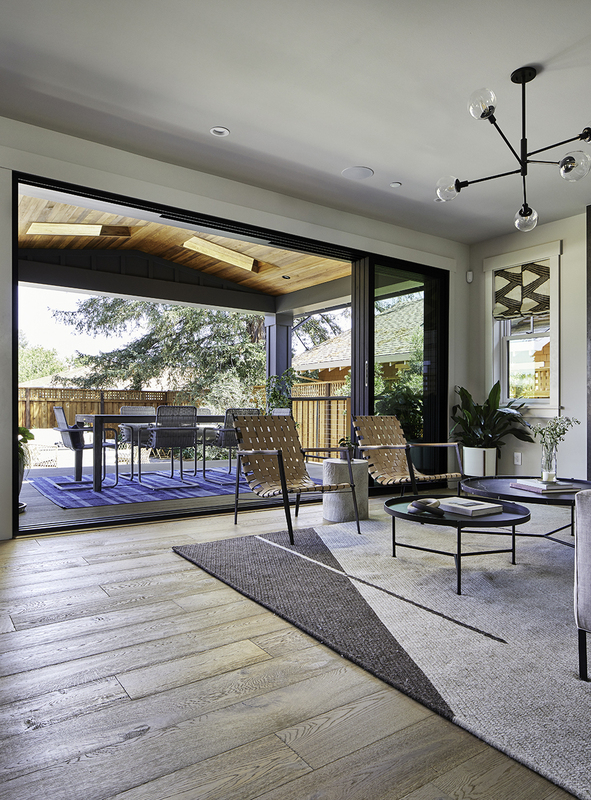 With a crisp mixture of modern-meets-comfort, the covered backyard patio has a few elevated twists that make it intentional in its purpose, and you’ll see how that makes all the difference. 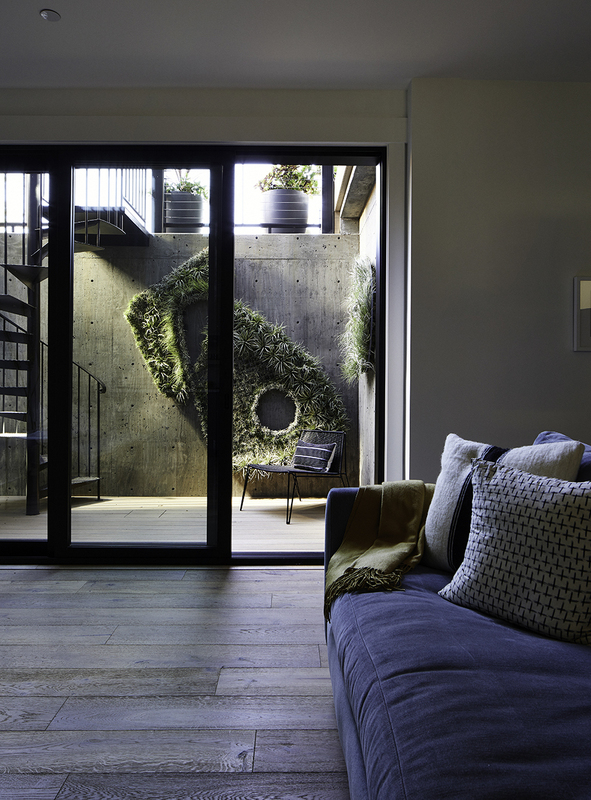 Being outdoors often creates an informal dynamic, but it is still important to define the space. The primary function of this patio is dining and entertaining. The large dining table easily accommodates six, and takes center stage, but its sleek lines and minimalist approach do not dominate the area. 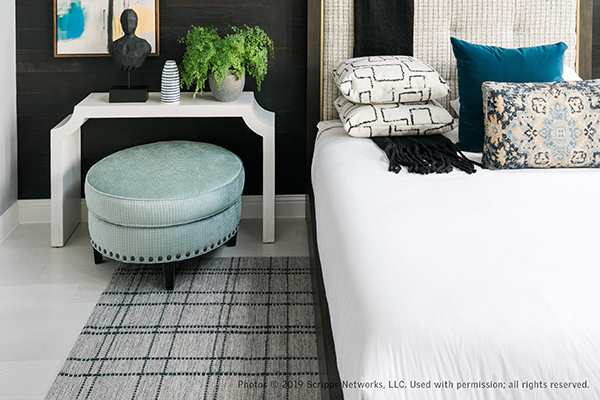 Positioning the table on a large sky-blue colored area rug brings a necessary pop of color that pulls the furniture elements together. Draw inspiration from your surroundings to identify your color palette. 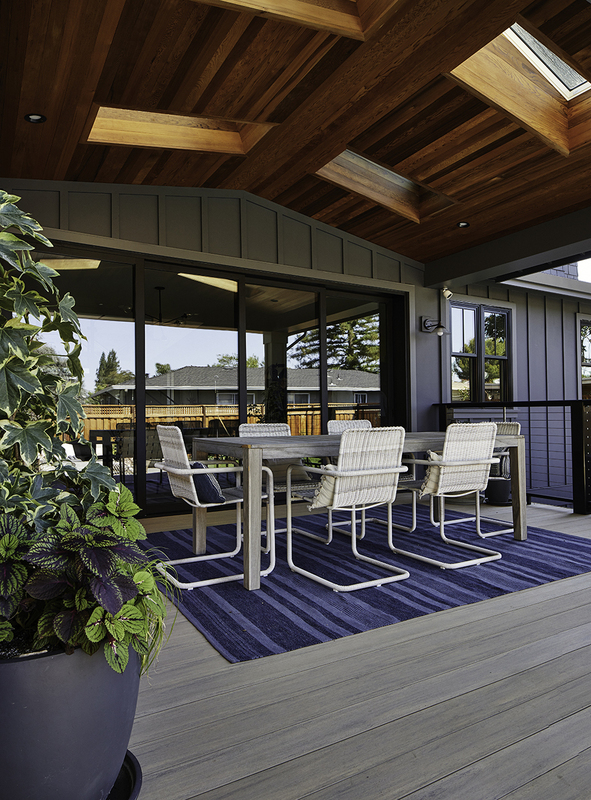 On this covered porch, the bright blue hue of the rug also complements the cedar plank ceiling and mimics the sky-view from the four skylights. Green makes a debut with a series of large native plants. Pots can be used to infer an outline of the perimeter. Here the foliage contributes a fencelike feature without feeling like a barrier. 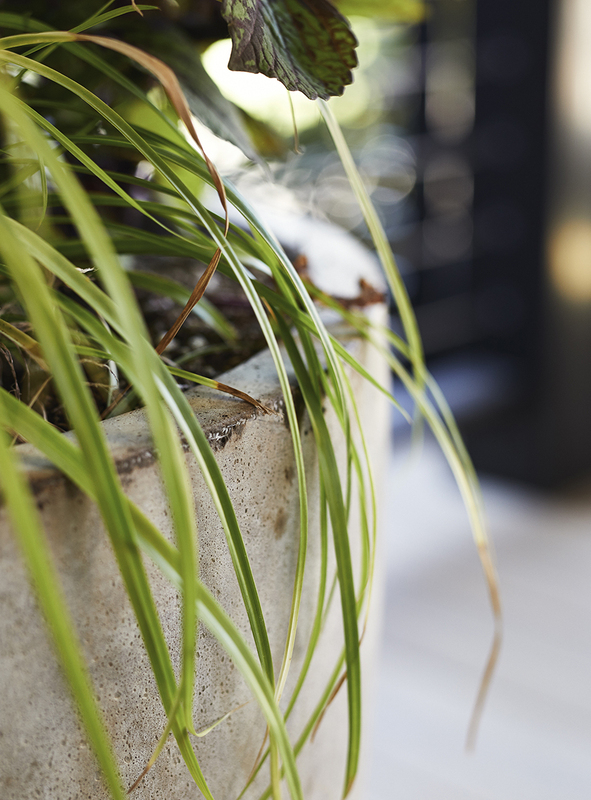 Plants can also be used to generate an awareness of the abundance of light, which helps create a relaxed atmosphere in the open space. On this patio the mix of materials creates an effortless vibe. The warmth of the cedar planks asserts a level of rustic elegance that is highlighted by the natural light. 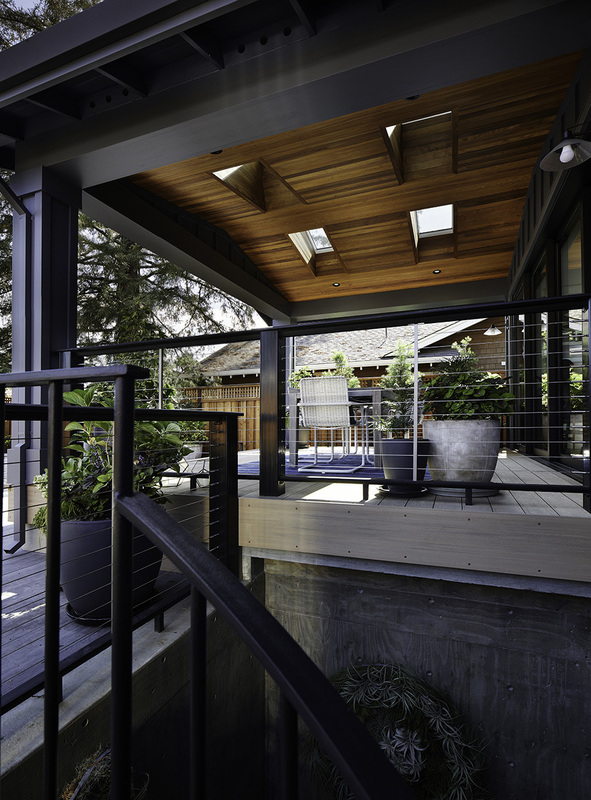 Metal and cable railings lend a modern look, while keeping the space open to the rest of the backyard. 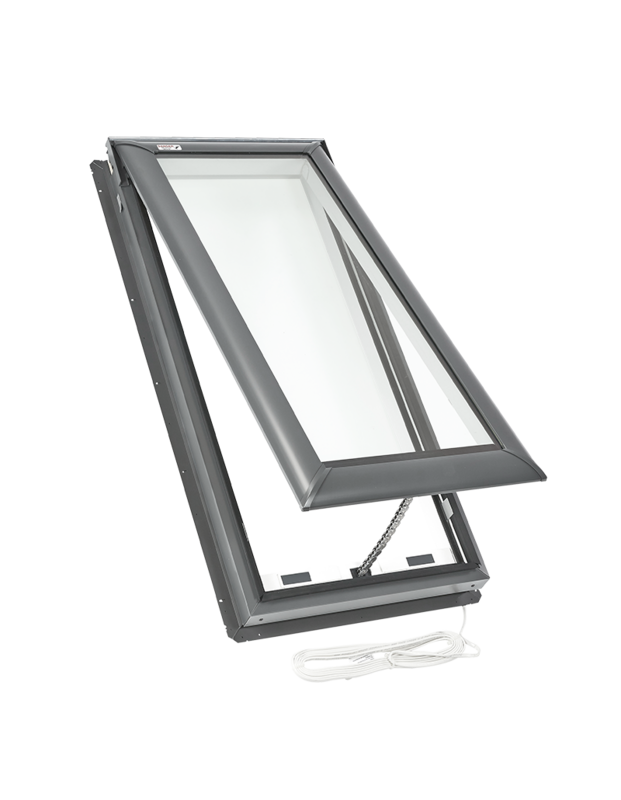 Adding skylights is a shift in perspective–you’re sheltered, but connected to the outdoor environment. 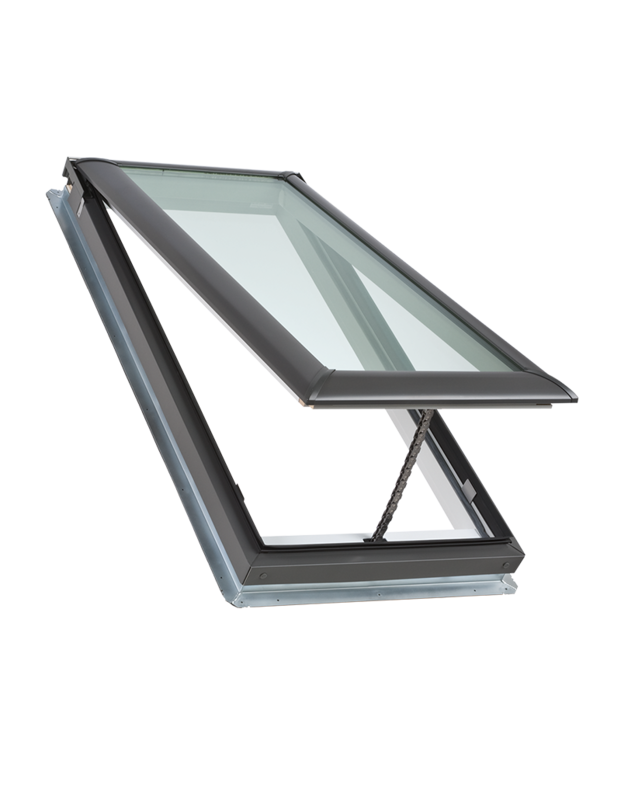 With skylights, the trade-off of losing natural light and views, in order to be protected from the weather no longer applies. 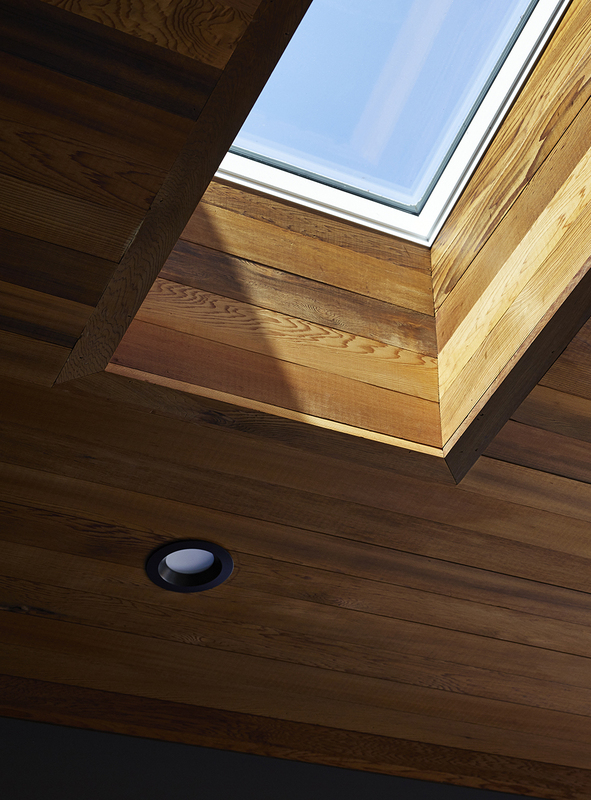 Natural light from the skylights on this patio dances on the cedar, brightening the space and bringing out the best in the wood planking. 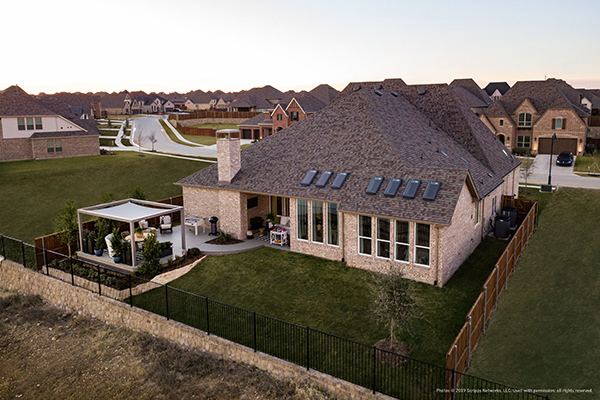 When investing in creating an open concept with an indoor-outdoor connection, it’s essential to consider natural light. 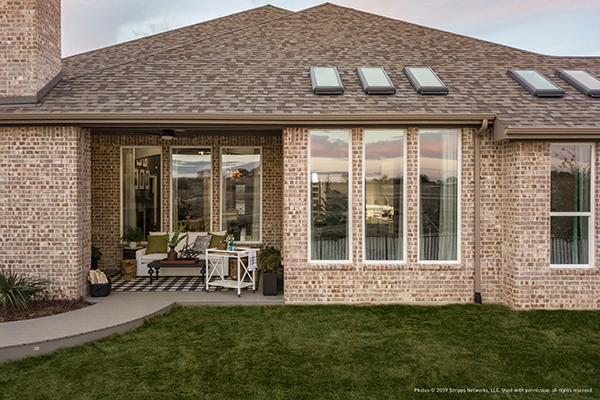 Normally adding a covered patio blocks sunlight from the adjacent room, but with skylights in the patio roof it can travel unobstructed from the porch to the living room. 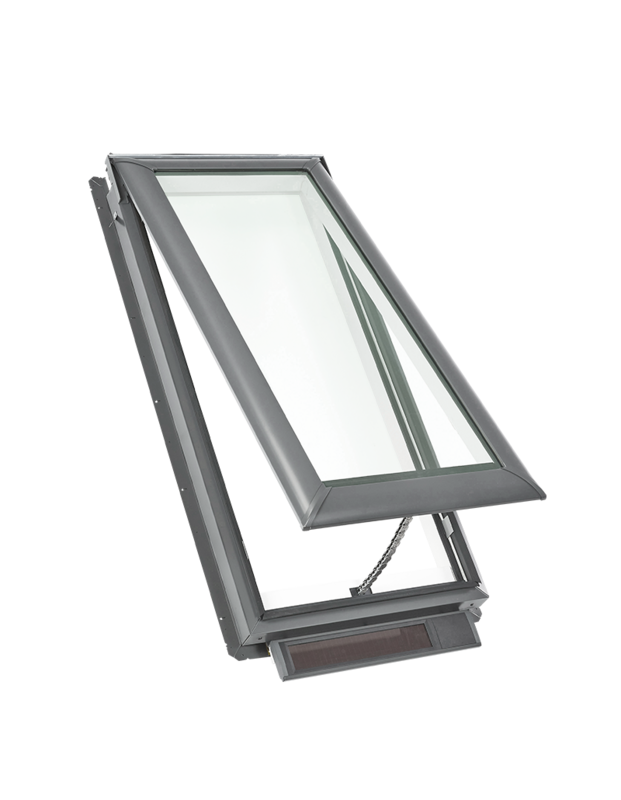 Some light from the patio skylights also shines through to the lower deck, creating a seamless transition.